Bats are the only mammal capable of true flight. Bats represent about 20% of all mammals worldwide. Approximately 70% of bats eat insects (insectivores), while most of the other 30% eat fruit (frugivores). Typically, a bat can consume 1/3 of its body weight in insects every night. They eat hundreds of insects in an hour. Bats live throughout most of the world, enabled by their ability to fly. They are very important species, as they help to pollinate flowers and disperse fruit seeds, as well as eat insects and greatly reduce the need for pesticides. Their habitats require a place for foraging, and a roost where they hibernate during the day. 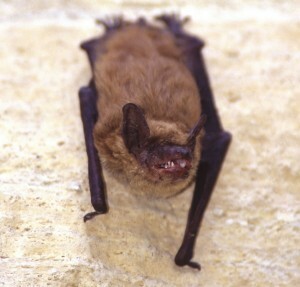 At Niagara Wildlife Control, we use exclusion techniques to remove bats from the structure. This technique ensures that all bats exit and have no re-entry point. Once removed, all damage and entry points are repaired to ensure a future colony is not established.